It’s time to check a firewall available in eNSP simulator. Today a simple task, just configuring inter-VLAN communication on Huawei USG5500. Configure L2 communication on the switch. As the switch is L2, configure subinterfaces on the firewall and enable L3 communication between different VLANs. Set IP addresses and gateways for all PCs. 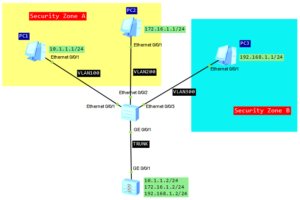 Create 2 security zones and configure interzone packet-filterfing to control traffic between VLANs. PC1 in VLAN100 and PC2 in VLAN200 can communicate each other. 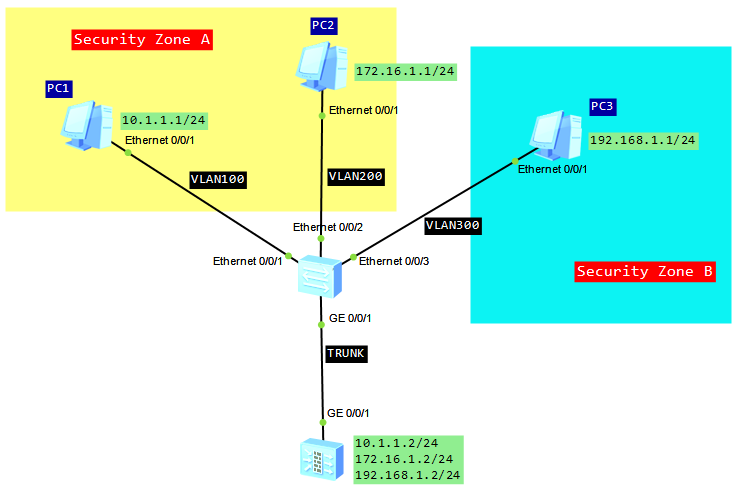 PC3 in VLAN300 can access PC1 and PC2. PC1 and PC2 cannot access PC3. The last article dealt with outbound NAT. Let’s focus today on NAT server. 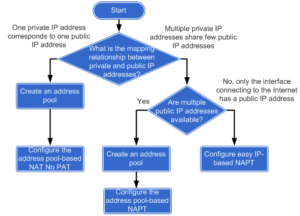 NAT server enables private network servers to provide services for external networks with public IP addresses. In this lab, our enterprise provides FTP services for external users. What does it mean outbound NAT? 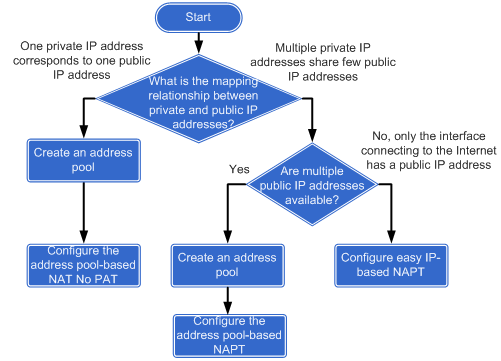 Outbound NAT translates the source IP addresses of packets sent from a high-priority security zone to a low-priority one. It easily lets us to choose a suitable way of configuring outbound NAT. In this lab I will try to do a review of these methods. As a graphical user interface is useless in case of routers and switches, it looks useful when configuring a firewall. Of course it is my point of view. I do not go into what is better for you. I like using CLI but, sometimes, it is worth to simplify your daily routine. The first step is to configure HTTPS access to webUI of USG6300. This is what we will focus today. Thanks to my colleagues I have opportunity to test Huawei Secospace USG6300. A rental period is not long, so let’s start from the beginning.